"I love the staff at Blakeney Dental. They are so friendly and always on time." "Dr. Ranzinger is wonderful! Takes the time to explain everything...good with patients." "Simply the best! My front upper filling fell out and they hooked me up on the same day." "Blakeney Dental is one of the best dental practices...so clean and very professional." "Everyone at Blakeney Dental demonstrates the highest level of courtesy & professionalism"
"The office staff was very friendly and helpful." 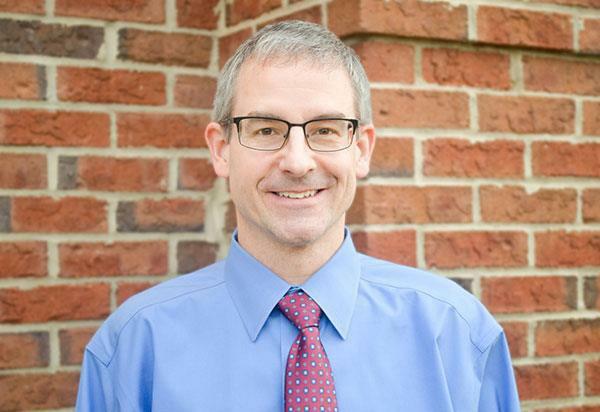 Mark Ranzinger, DDS is an experienced dentist at Blakeney Dental in Charlotte, North Carolina serving patients from all over Mecklenburg County and surrounding communities. He specializes in general and cosmetic dentistry and takes pride in enhancing the smiles of his patients. Dr. Ranzinger graduated from the University of Michigan Dental School in 1994. Upon graduation, he worked as an associate dentist in Rochester, New York and went on to serve in the U.S. Air Force stationed at Seymour-Johnson Air Force Base in Goldsboro, North Carolina. After completing his tour, he settled down in Charlotte and has been practicing professionally ever since. At Blakeney Dental, Dr. Ranzinger provides a host of services to restore smiles and improve your oral health. He offers custom-made bridges and veneers, as well as dental implants and crowns, to address cosmetic concerns, including chips, cracks, and gaps in your smile. Dr. Razinger is the best in the business when it comes to keeping teeth strong, healthy, and looking their best. He offers compassionate, personalized care and attention to detail. To stay informed on the latest trends in the field of dentistry and to better serve his patients, Dr. Ranzinger uses cutting edge technology at his practice and holds membership with the American Dental Association and the North Carolina Dental Society. Outside of the office, Dr. Ranzinger and his wife enjoy spending time with their two children. To schedule your next visit with him at Blakeney Dental, call the office or use the online booking tool today. "I had crowns and some difficult work done, and everything feels and looks far better than I could have ever hoped for. The office is extremely well run." "Provided excellent care today in replacing a filling. I was very nervous and the dentist and staff were understanding and caring." "The staff was personable and attentive and I felt involved and informed in my treatment. Great service, great people! Thanks Blakeney!"